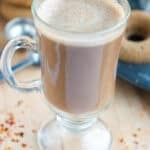 Chilli hot chocolate – treat yourself this winter to this vegan style hot chocolate made with quinoa milk and a pinch of chilli. I bet you’re probably wondering what this recipe is all about? Well let me explain, again, another one of my concoctions. 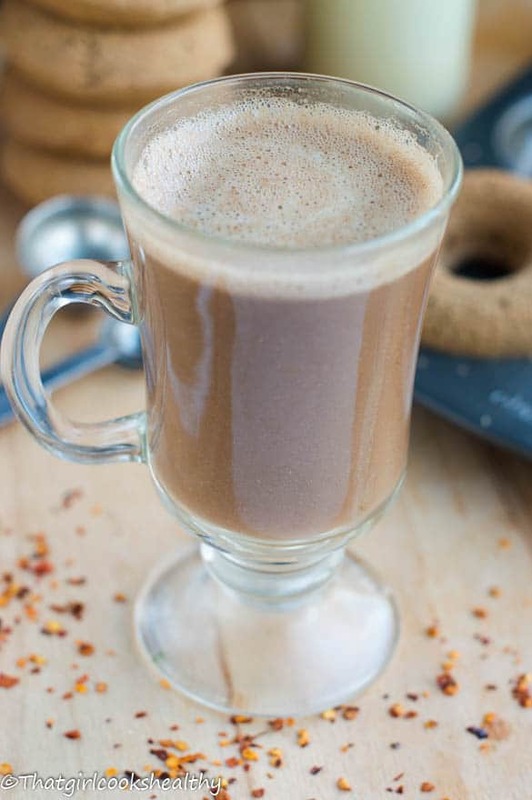 This chilli hot chocolate was one of my first drinks to be made using my quinoa milk recipe. it’s unique, rich and creamy all rolled into one serving! 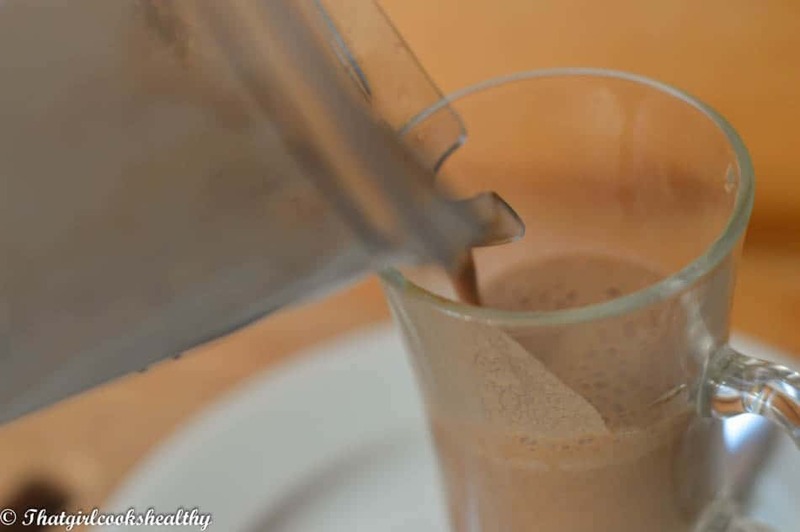 I think the chilli infused into this spiced enriched decedent chocolate treat is perfect for chocolate lovers who are seeking an umph or buzz to their beverage. I’m not entirely sure what possessed me to incorporate chilli flakes; it might have been the fact that I’m an avid fan of chili chocolate. It’s been a while since I consumed some, that longing for some chilli has given me an insatiable crave. For this recipe I warmed the quinoa milk in a saucepan, which wasn’t necessary since my vitamix has the ability to replicate a stove (oh my how technology has changed). I am aware that not everyone owns a high speed blender, therefore this recipe shouldn’t alienate my readers. The reason why I utilise my blender was because I used pitted dates and needed to blend them into a smooth consistency, you can always heat the whole thing on a stove if you’re making this with date paste instead.